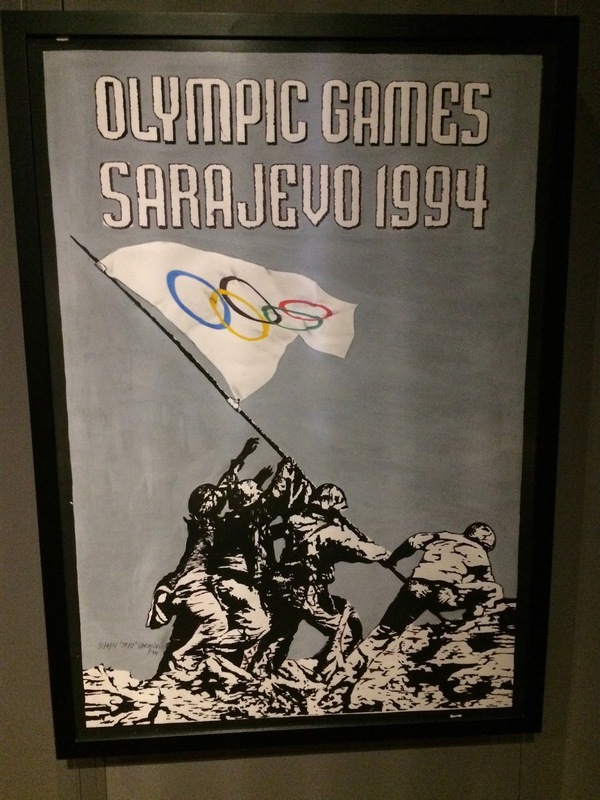 On a recent excursion with a visiting friend, I spent three days in Bosnia, mostly in and around Sarajevo. 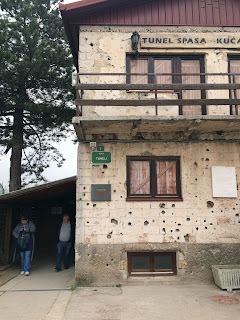 People in Serbia tend to be slightly skeptical when you talk about visiting Bosnia because of the recent atrocities committed during the Yugoslav Wars, the most atrocious of which occurred in Bosnia. Most of my Serbian friends have never been to Bosnia unless they visited before the breakup of Yugoslavia. Conversations about Bosnia in Serbia (and vice versa) proved tense and sometimes uncomfortable; my friends appeared unsure how to feel -- some blend of confused, guilty, hurt, and bitter. One of the more baffling elements of Yugoslavia’s fall and the quick rise of mutually exclusive nationalisms is the abundance of mixed marriages from the ‘50s to ’89. Many consider themselves "mixed" with parents or grandparents who were some combination of Muslim Bosniaks, Orthodox Serbs, and Catholic Croats. How people can within themselves contain multiple nationalisms and still swear alliance to one and vindictive defiance to another is beyond me. It’s next to impossible to visit Bosnia without remembering the Yugoslav Wars and the siege of Sarajevo. All guided tours of the city and its surroundings at least mention it, and some are wholly based on it. 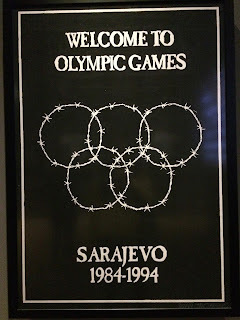 My friend and I did a five-hour "Sarajevo War Tour" that highlighted important sites during the 44-month siege and of Sarajevo’s glory days before the war peaking at the ’84 Winter Olympics. Perhaps the most infamous facts about the Balkans is the assassination of Franz Ferdinand. This marks the spot. Quite an attractive city hall, clearly designed during the Austro-Hungarian Empire but with some Arabesque elements, too. The view from "Yellow fortress"
Many fields and mountains in Kosovo and Bosnia were never cleared after the Yugoslav Wars. The start of the "tunnel of hope" -- an underground tunnel that connected the city to the UN-controlled airport. It wasn't used for them to flee, but rather to access food, humanitarian aid, and war supplies during the siege. Hearing about the siege from those who were besieged was as fascinating as it was elusive. The beautiful hills surrounding Sarajevo betrayed the city as the Serbs used them strategically to lock everyone in for nearly four years. The most confusing part for me is the UN’s involvement. The UN controlled the airport, so member states donated food that was then distributed to Sarajevans so that they wouldn’t starve. While well-intentioned, this neither terminated nor truncated the siege, but instead extended it. The Dayton Peace Accords, which ended the war in Bosnia, divided Bosnia into three regions based on ethnic/religious groups; most went to the Bosnian Muslims, but portions of the country were given to the Bosnian Serbs and Bosnian Croats. Each group has a president who leads the country for eight months every two years. The constitution, according to our guide, was never approved by parliament since the UN appointed “high representative” has ultimate power. 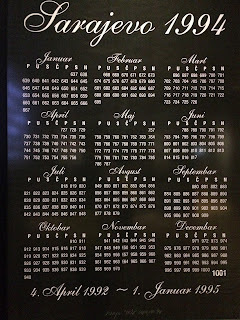 If this seems illogical, you're not alone. When a former High Representative, Miroslav Lajcak, stepped down, he said (paraphrased), “I don’t want to be the jockey of a dead horse anymore.” Unfortunately, little seems to have changed. Although the government conducted a thorough census in 2014, it hasn’t released a census since ’91. Our guide believes the Bosnian Serbs and Croats refuse to do so because revealing the huge Muslim majority would change the currently equal representation the groups share in Parliament. Moving among the three regions is a hassle as well since it requires a passport in addition to an entity citizenship card. Our guide thinks that those living in Republika Srpska require the Bosnian Serb entity identification card in order to get a job, perpetuating segregation. These vacant Olympic fields are ghostly to begin with, but those frozen gondalas on the center-left were especially creepy. A hotel built for the '84 Olympics, now in shambles due to the Yugoslav Wars. An abandoned bobsled track, one of only a handful in the world. While no longer functioning as a track for bobsleds, luge teams from Central and Eastern Europe use it. Last time I was here I caught the Slovakian youth team zooming away. Wild horses beside the bobsled track! This one got defensive protecting his/her pony. One way in which this second gap year in Serbia vastly differs from the last is my eagerness to understand the '90s from multiple perspectives. 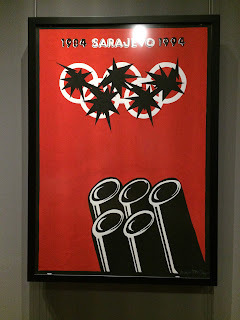 While I knew the Serbian side, I wasn't much exposed to how the war appeared from Bosnia or Croatia. I had heard of Srebrenica, the largest massacre on European soil since WWII, but did not realize its scope. More than 8,000 Muslim Bosniaks, mostly men, killed on a single day, July 11th, 1993, by Serbs. That it happened is an unspeakable tragedy. That relatively few people not connected to the Balkans know about it is also tragic. In 2012, the 11/07/93 Gallery opened honoring and remembering the fallen. Located in the center of Sarajevo, this poignant museum features heart-wrenching photographs, posters, and documentaries. The following posters on display explore the grievances Muslim Bosniaks felt then and still feel towards the international community. Many hark back to the '84 Olympics as a moment when the country mattered most in the world. I suppose it's a bit like the cruel ephemerality that usually accompanies fame -- one year you're made to feel all-important, the next completely forgotten. 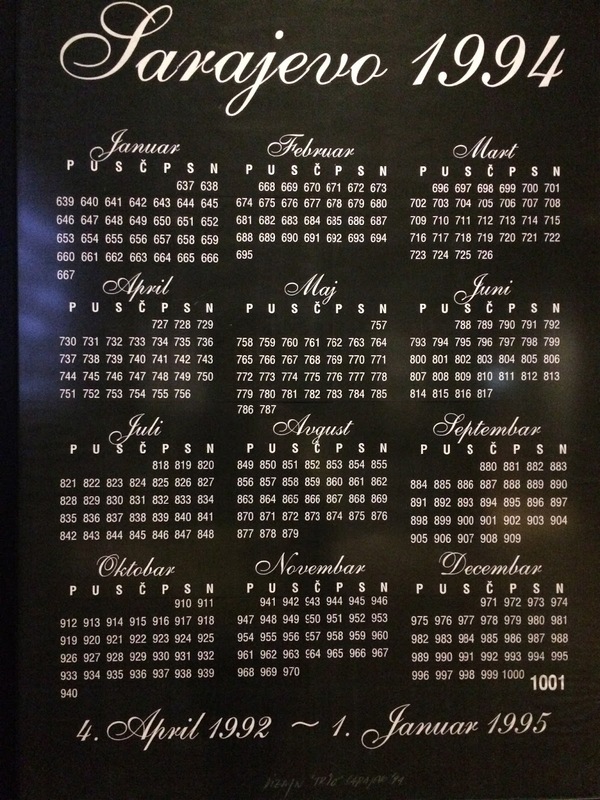 Instead of listing dates, this calendar counts the number of days besieged. After the museum, my friend and I returned to this park to watch some chess and reflect on what we'd seen. Perhaps our favorite spot in Sarajevo, this giant chess set is always in play. Donated by the Swiss government after the war, the tour guide said even in the winter there are crowds. Though I usually think of chess as a two-person sport, these throngs of men proved me very wrong; even when not playing, they don't hesitate to throw in their 2¢. Left out is that the Sarajevo Serb population was pretty much thoroughly purged - the Sarajevo Serb population went down by 160,000. Meanwhile the Bosnian Muslim population of Sarajevo was GREATER after the war than before. Also, the UN was regularly bringing in food and fuel. That there were shortages were due to the Sarajevo government not distributing it to the people. 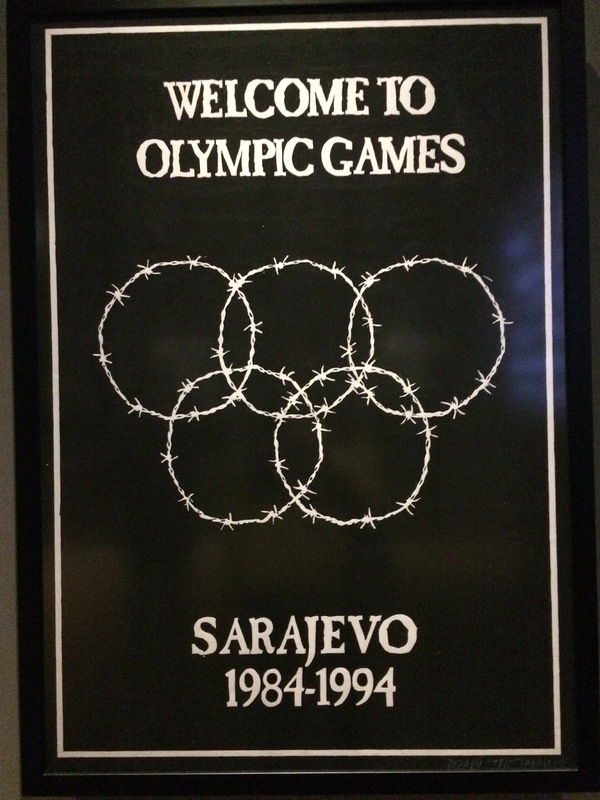 The UN documentation and testimonies were that 60% of the food the UN sent to Sarajevo was not being distributed at all, and the UN believed the government was stockpiling it. Of the 40% which was distributed, most went to the black market and the Bosnian Muslim forces. Also, the Bosnian Muslim forces had most of the high ground within the city and did have their forces on mountains as well, such as Mount Igman. Also, they controlled most all the mountain range in the north, and even their own maps showing which forces controlled which territory, you can see that they were not surrounded from the north and this territory that their forces controlled went off the map. Additionally, the UN, as well as foreign officials have said that the Bosnian Muslims interfered with the utilities more than the war itself. So besides keeping most all the food, which was getting into Sarajevo in large amounts, from the civilians, the Sarajevo government also prevented the repair of utilities, and in particular cases would keep the water turned off. So they deliberately made things worse for the civilians to help use the suffering to sell the war and victim hood. Their forces outnumbered the Serbs' forces in the Sarajevo area, and also within BiH as a whole by a multiple factor. Sarajevo Serbs were having their homes busted into and they were being assaulted, taken to jail, or to concentration camps in Sarajevo - of which there were many. The mainstream media covered up and continues to cover up what was being done to the Sarajevo Serbs from the start. 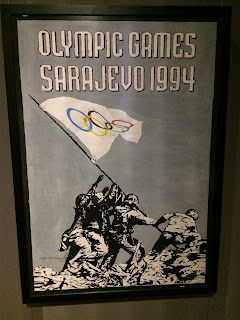 The commander of the 10th Mountain Brigade in Sarajevo, (Bosnian Government Forces) was decapitating Sarajevo Serb civilians and throwing their bodies down Kazani gorge. They have found and identified the remains of some of these murdered Serbs, but thorough search for missing Sarajevo Serbs are using blocked or curtailed. Additionally, UN officials have testified about Bosniak snipers using several buildings within the infamous "Sniper's Alley", and that they did shoot at civilians and the UN within their own lines, as well as regularly provoke the Serbs. The Serb-controlled parts of Sarajevo, which were some suburbs, were shelled by the Bosniak forces and they ended up the war in worse shape than the Bosniak side. You showed me a very huge reality about Sarajevo. The images touch my hearts and feel sorry for them. The international community should play their role in reestablishing those vacant sports and rest of places and to rebuild this country. I find your blog posts well written and you express yourself very eloquently. However you need to be more specific when referring to 'Serbs' and 'Serb government' and 'Bosnian government' - especially in such a multifaceted and controversial period of time. Much of the most disgusting atrocities were carried out by criminals profiteering from war. Bosnian, Serbian, and Croatian "governments" were monopolized by greedy and self-serving politicians who misled the public and cornered them into action with false fears. You need to be specific with your words because you can easily villainize an entire nation by the actions of dangerous politicians. Continuing from my previous comment - I suggest you look at the break-up of Yugoslavia from a different perspective. In particular, explore the break-up as an exercise in economic imperialism by the USA. Economic imperialism is nothing new and it will never go away.